Personalised by you, printed by us! 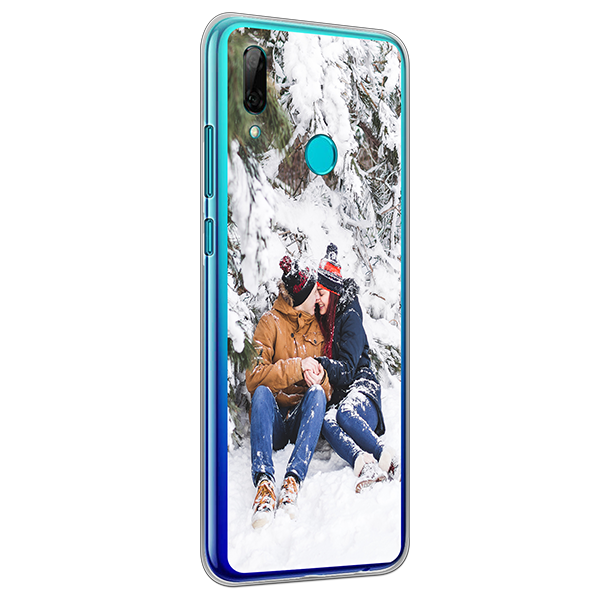 Only for your Huawei P Smart personalised case. An extra durable case to protect your phone from bumps and dents. Color transparent is out of stock and will be shipped on 3 May 2019. The slim case offers protection while also not taking away from the functionality of the phone. With holes for your charges, earplugs, buttons and camera, this case offers a unique slim look. 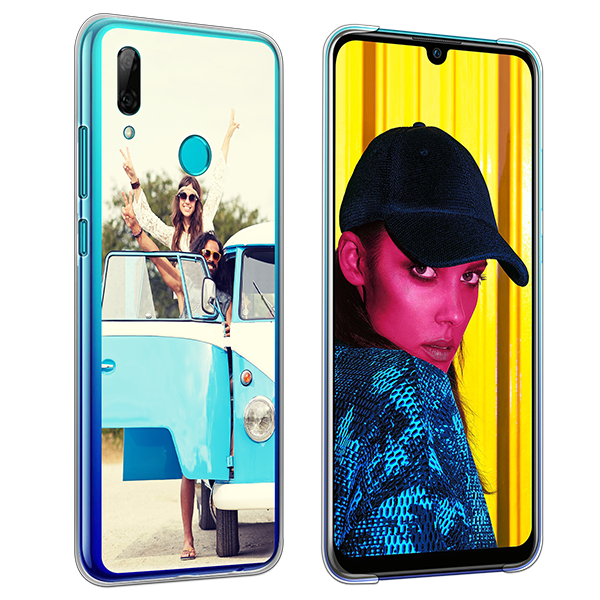 Use any of your favorite images to create an awesome Huawei P Smart personalised case to show your style to the world. A personalised slim case offers your smartphone originality and the protection needed to keep your device always looking brand new. If you want to add extra protection, check out our tough cases! What are you waiting for? 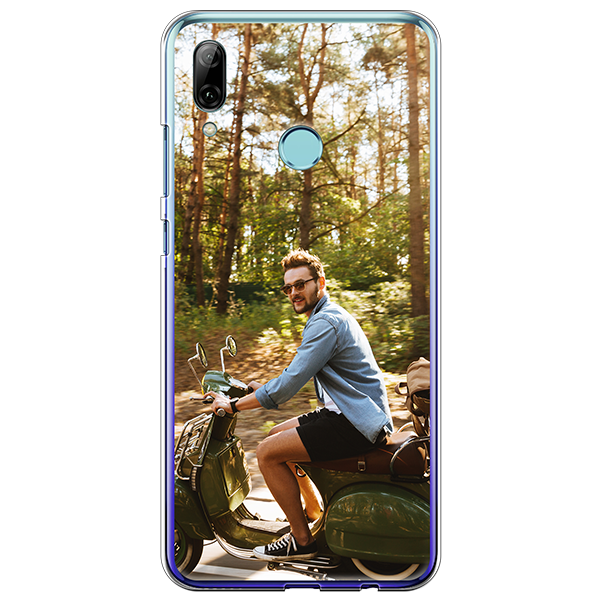 Get ready and start designing a Huawei P Smart personalised case now! Are you sitting comfortably behind your computer, tablet or smartphone? Good. Start by uploading one of your best pictures or designs to our user-friendly design module. You can do this through Facebook, Instagram, or your own PC. If you want to make your personalised Huawei P Smart case even more personal, add a little text using our text module. There are loads of fonts and colours to choose from. If you are lacking inspiration you can visit our collections for the pre-made designs we have, That's it! See? It wasn't so hard to create your own personalised Huawei P Smart case! We ensure that your case is on its way to you within 24 hours of purchase. You do not need to stay home to receive your package. All our packages fit straight through the mailbox so its delivery is easier. If you have any questions regarding your order, feel free to contact our support team, they will be happy to help you. One of our customer service reps will get in contact with your promptly in order to assist you. We make sure that your Huawei P Smart personalised case is exactly as you want.